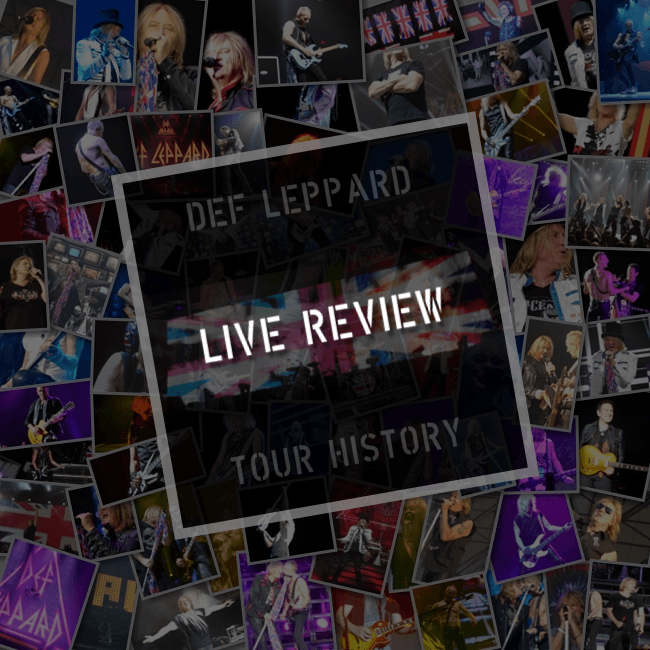 Def Leppard played a 2015 world tour show in Glasgow, Scotland 10th December and a sixth online review has been posted. Sea Of Tranquility have posted a review of the show which took place at The SSE Hydro. Three small photos are included with the review. "When Love And Hate Collide" took things back down, proving the cavernous Hydro can be amazingly intimate, before the superb guitar pair of Vivian Campbell and Phil Collen strode down the runway which stretched out into the crowd, for the vintage instrumental "Switch 625". Which still hits as hard now, as it did way back in 1981. From there it was classics all the way, "Hysteria", "Let's Get Rocked" and "Pour Some Sugar On Me" receiving a rabid reception from the crowd, as did a short solo from Rick Allen, the camera work allowing everyone to witness his amazing dexterity, as it focused on his multi-peddle set up as much as his stick work."